MÜNSTER, GERMANY, September 16, 2013: A hydraulic power unit with two pumps effectively overcomes resistance during slide plate or diverter valve operation without need for a pressurized hydraulic oil accumulator, it was announced today by Nordson KREYENBORG GmbH, which will introduce the system at K 2013 (Hall 9, Stand A44-48). The new system eliminates the costs associated with maintaining pressurized accumulators, as well as the additional costs and complications entailed by the safety inspections required for such accumulators. (Inspections must be carried out every one to two years in Belgium, for example, and every five years in Luxembourg and Germany.) 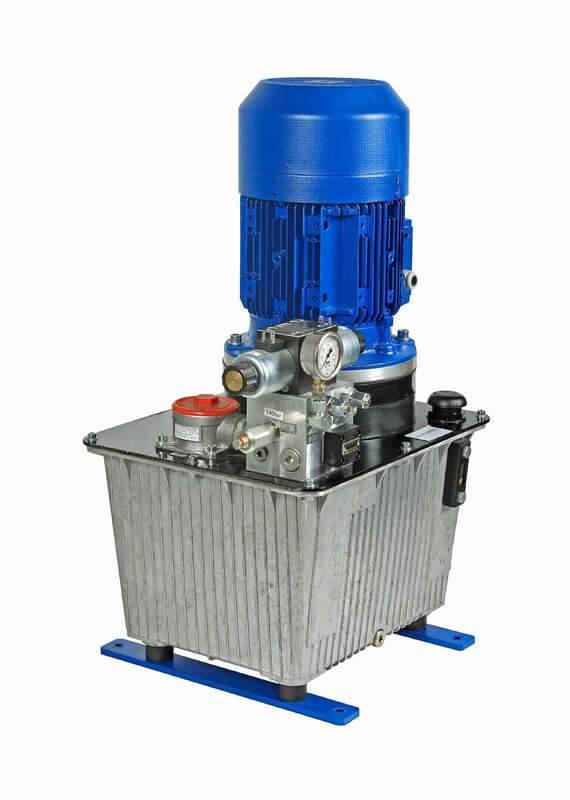 In addition, the two pumps in the new Nordson KREYENBORG system are supplied from a single oil reservoir and are driven by a single motor, simplifying the design and reducing the initial investment. In a conventional hydraulic system for slide plate screen changers, a pressurized accumulator is required to overcome the resistance caused by residual degraded or baked-on polymer, which can otherwise impede the movement of slide plate in a screen changer or of the bypass, start-up, and switch-over valves used in various polymer processing applications. The Nordson KREYENBORG system makes possible similarly rapid action in these devices while avoiding the maintenance, costs, and safety issues of a pressurized accumulator. The new system utilizes two hydraulic pumps that are capable of operating simultaneously. One, called the volume flow pump, draws on a larger volume of oil to provides fast movement when the level of resistances is low. The second, called the high-pressure pump, uses less oil but generates a pressure buildup that overcomes high levels of resistance. The two pumps are controlled via an automatic switching valve that shuts either pump on or off as required. They can work in concert—for example, if the resistance to a screen changer slide plate becomes higher at the end of its movement, the high-pressure pump is activated.